The Bell Family a2a Expedition. 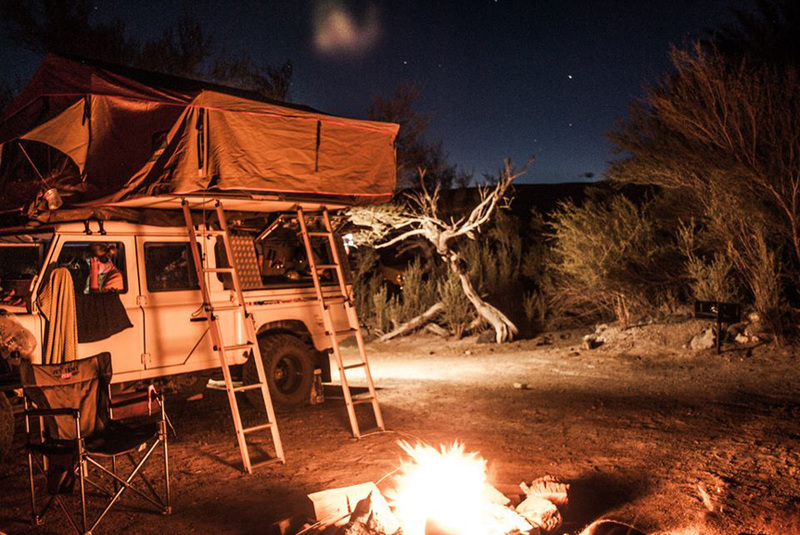 For those of us who have a nomadic streak , the idea of being able to finish our job, sell the house and walk away from our day-to-day lives and go and travel the world in our favorite truck is what dreams are made of. But what do you do if you have a young family and other commitments,? …..No drama just bring the kids along and don’t worry about the other stuff. Well that’s exactly what Graeme Bell did along with his wife Luisa and two children Keelan and Jessica. 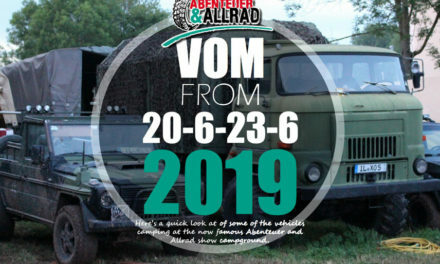 We recently met up with the lovely Bell family at the Abenteuer & Allrad Show in Germany. 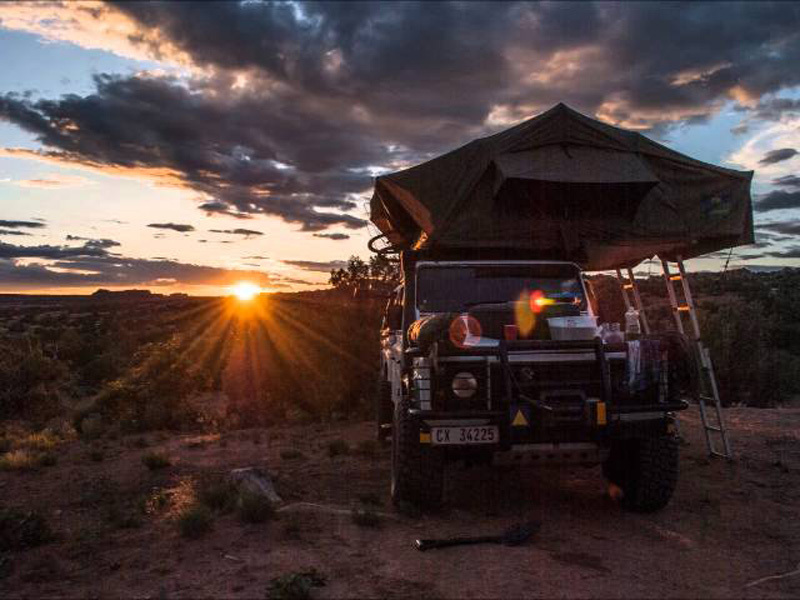 The family are currently on a multi continent journey in their impressive Land Rover Defender 130.This impressive Land Rover RTW simply called Mafuta is outfitted with all the adventure necessities for years on the road and certainly looks the part. 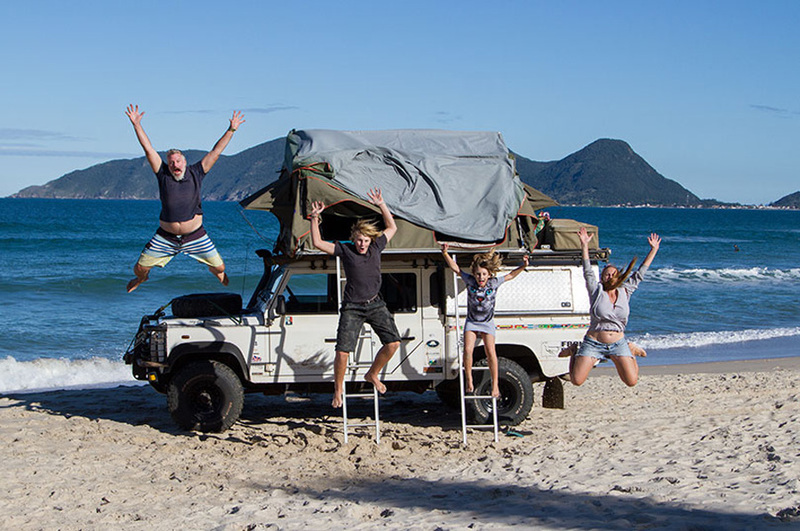 So when was the seed sown for this incredible over-landing adventure?In 2010, the Bell family who are from South Africa set off in their Land Rover Defender on an African adventure which would ultimately afflict them with the overlanding addiction. After touring Southern and East Africa for six months they returned to their home in South Africa, to normal life and the corporate grind. 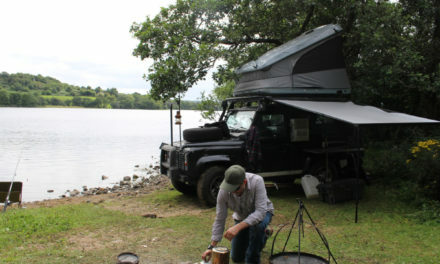 Only touring in their trusty Landy, Mafuta, could still their trembling hands and sate their insatiable hunger.The decision was made, they decided to live an alternative travel lifestyle, a decision which would take them and Mafuta to initially to South America where, through a combination of good luck and bad decisions, they circumnavigated the continent for over two years before setting their sights on North America. Now in Europe the guys are presently in Portugal where they are planning the next part of this awesome adventure. 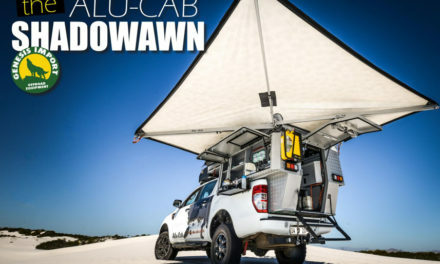 would ultimately afflict them with the overlanding addiction. 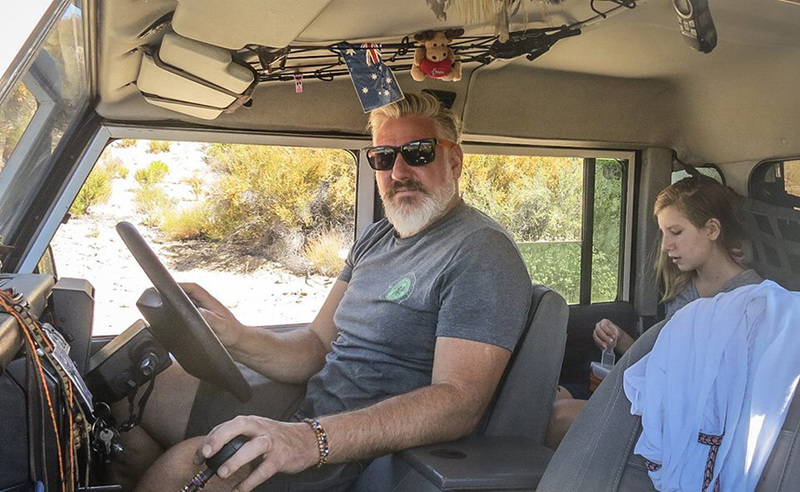 After touring Southern and East Africa for six months they returned to their home in South Africa, to normal life and the corporate grind . 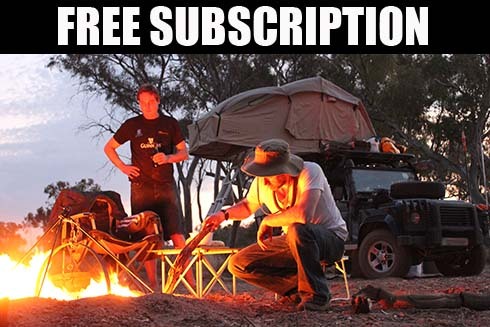 Only touring in their trusty Landy, Mafuta, could still their trembling hands and sate their insatiable hunger. 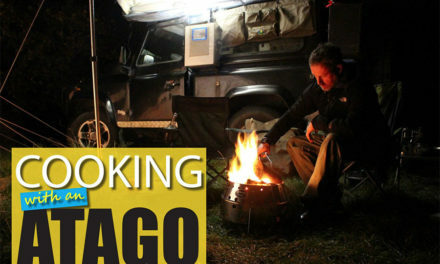 The decision was made, they decided to live an alternative travel lifestyle, a decision which would take them and Mafuta to initially to South America where, through a combination of good luck and bad decisions, they circumnavigated the continent for over two years before setting their sights on North America. 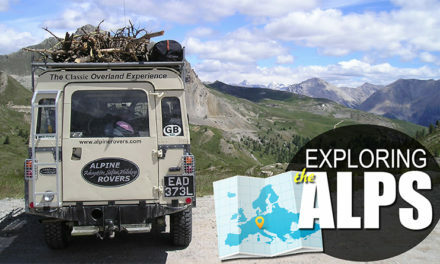 Now in Europe the guys are presently in Portugal where they are planning the next part of this awesome adventure. 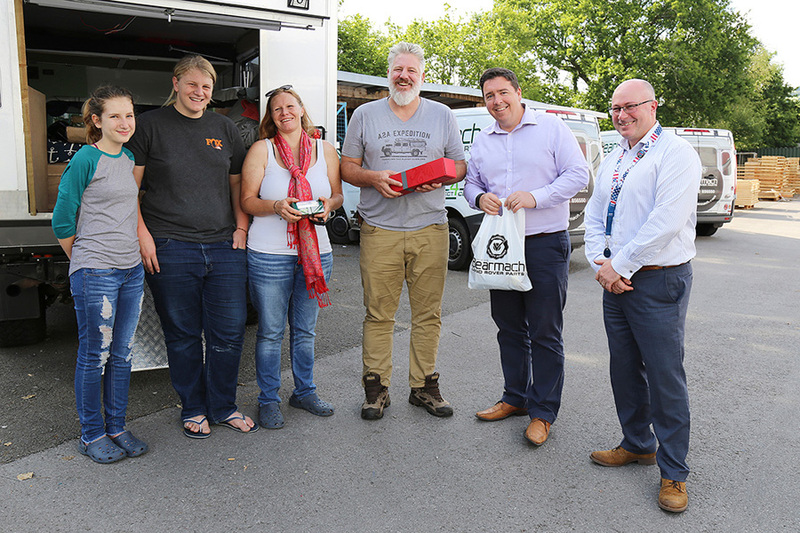 Supports from the industry play a key role in making adventures like this happen and one of these sponsors include the British company Bearmach. Since 1958, family founded Bearmach Limited has been the market leader for the supply of Land Rover spares. 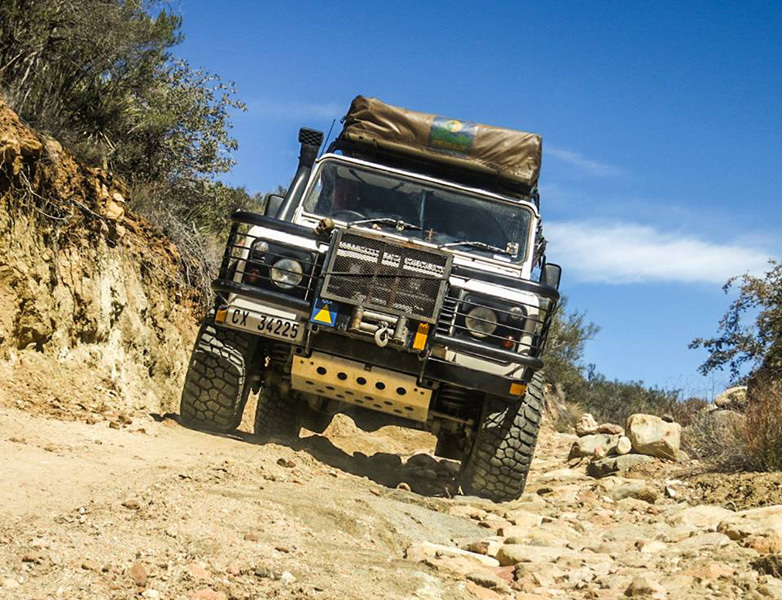 Everyone who owns a Land Rover including ourselves knows that most Land Rovers ever made are still on the road. Companies like Bearmach certainly have helped keep them on the road by delivering, on average, 330,000 parts per month to over 140 countries. 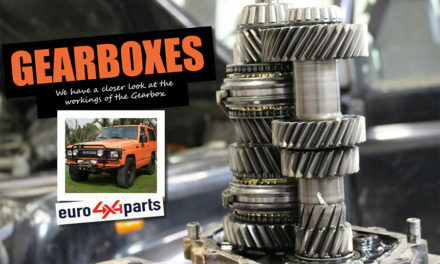 Bearmach is one of the largest and competitively priced online sellers of parts and accessories for all Land Rover vehicles, worldwide . 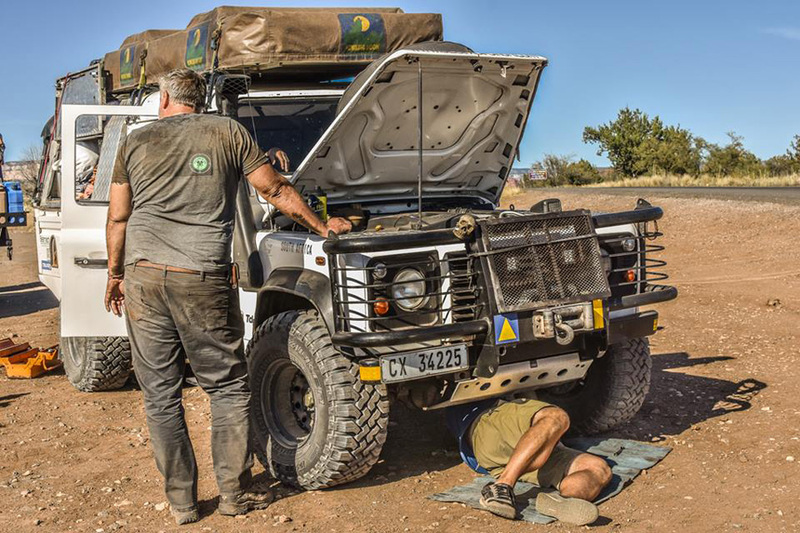 Graeme explains that when you are driving your expedition vehicle to places few others tread you need to be able to trust your vehicle completely. That trust is based on good mechanical maintenance and excellent components. We have tried other brands but have learned to trust Bearmach Land Rover parts to be as good as original parts at a quarter of the cost. 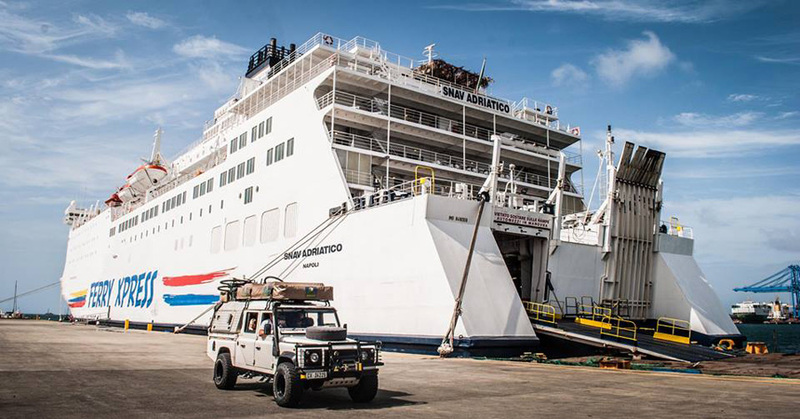 Our Land Rover is taking us around the world and with Bearmach products in the spares crates we know we have the best. Trust is everything. 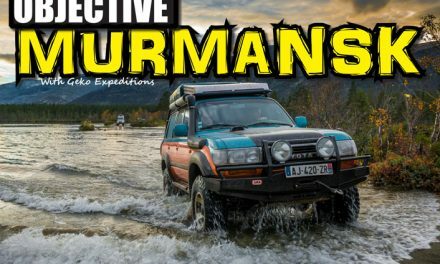 While on the road both Graeme and Luisa have reinvented themselves from corporate entrepreneurs and students to writers, photographers, artists, educators and mechanics and have used these skills to write and publish two books that share with the world their adventures to date. 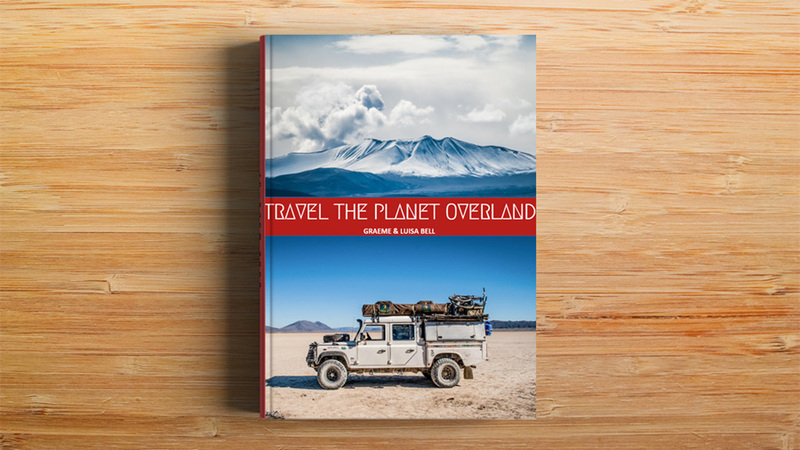 The first book simply called Travel the Planet Overland was written to inspire others to explore this magnificent rock we all call home and deliver a core message, simply that anyone sufficiently inspired can travel the planet overland. 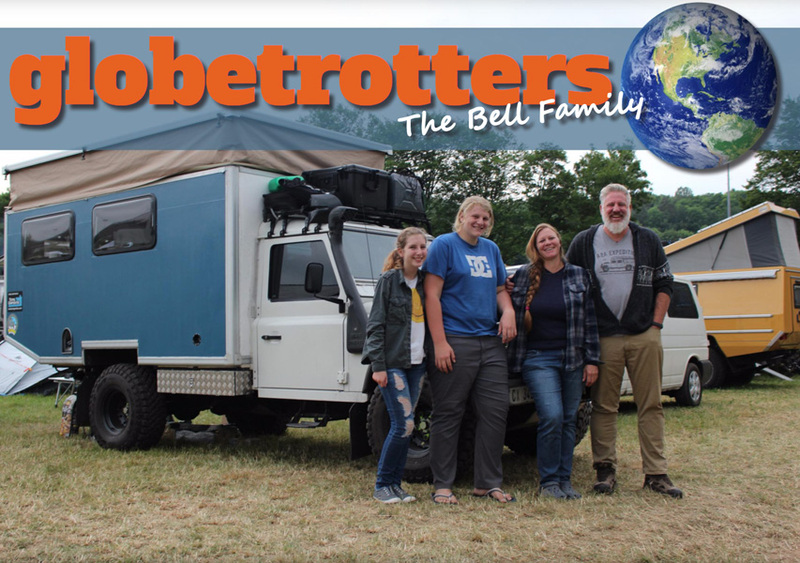 The Bell family take readers by the hand and walk them through the long term world traveler’s reality, introducing the different types of overland travelers and the vehicles they prefer based on the fluidity of their cash flow. In the book they then guide readers through the financial and emotional preparations for overland travel and provide the tools for overland travel success! 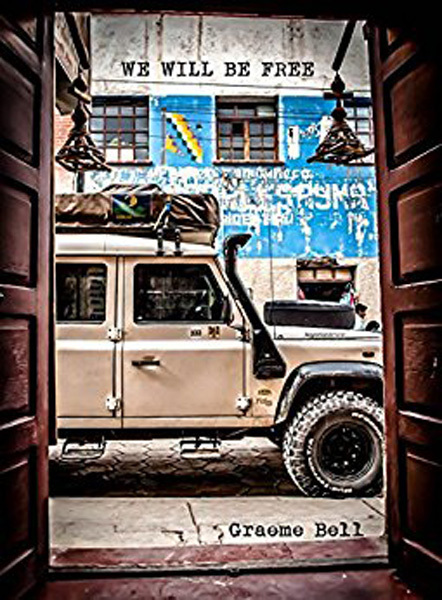 The second book We Will Be Free chronicles the challenges faced by the Bell family as they extract themselves from the “real” world and set off to explore Africa and circumnavigate the South American continent in a Land Rover. Written with passion and from the heart. PreviousProposed Defender Copy may not be produced. 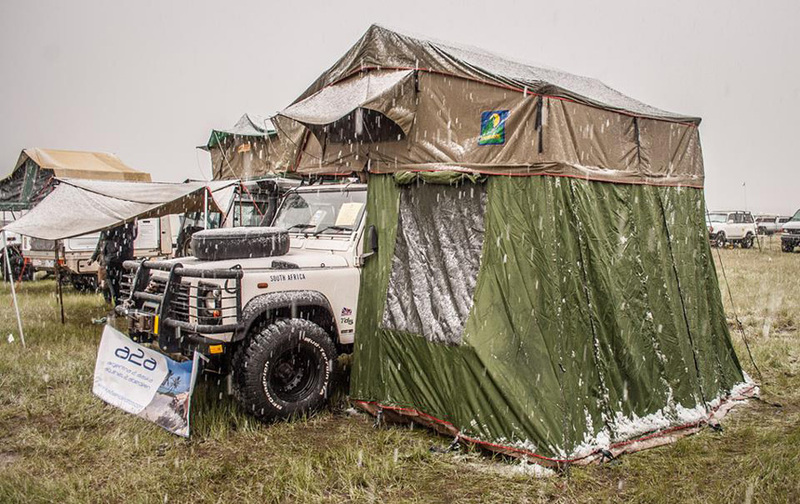 NextHow waterproof is your tent? Hydrostatic Head explained.